I made a thing. 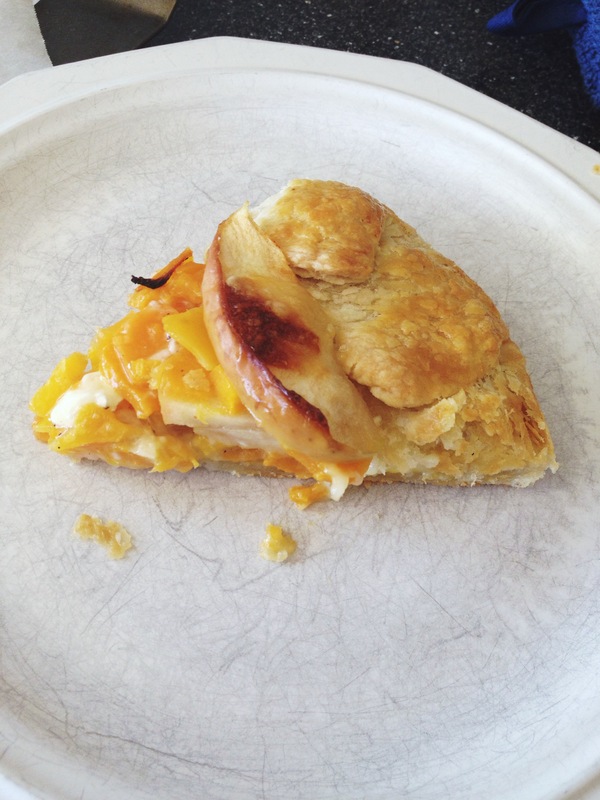 A thing made of Brie, butternut squash, and apples. 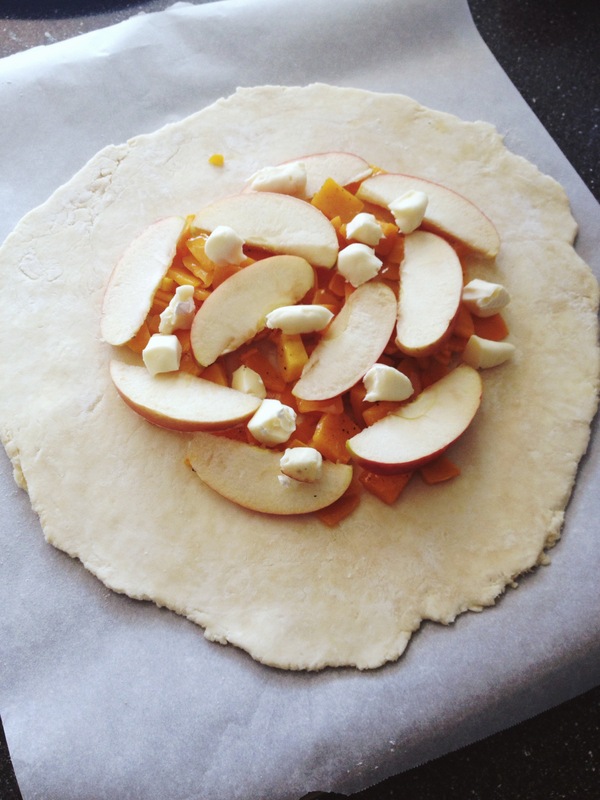 A galette! I tried to go to work today but I threw my back out of wack taking peanut butter chocolate chip toffee cookies out of the oven. I went to work for an hour and after realizing I couldn’t even sit comfortably I went home, put a hot pad on my back, and slept for a few more hours. I feel so restless lately. I walk up and down the same streets. I’ve been devouring books, so many books, and they make me even more restless, because when I am done with them I am back to my life, not on a beach in Normandy or in the Carpathian mountains. I decided to foster some creativity and cook, which for me is always a test of my ability to read directions closely and not get too neurotic if it doesn’t come out well. I have a folder on my computer that holds recipes for everything from Vietnamese spring rolls to sloppy joe sandwiches. 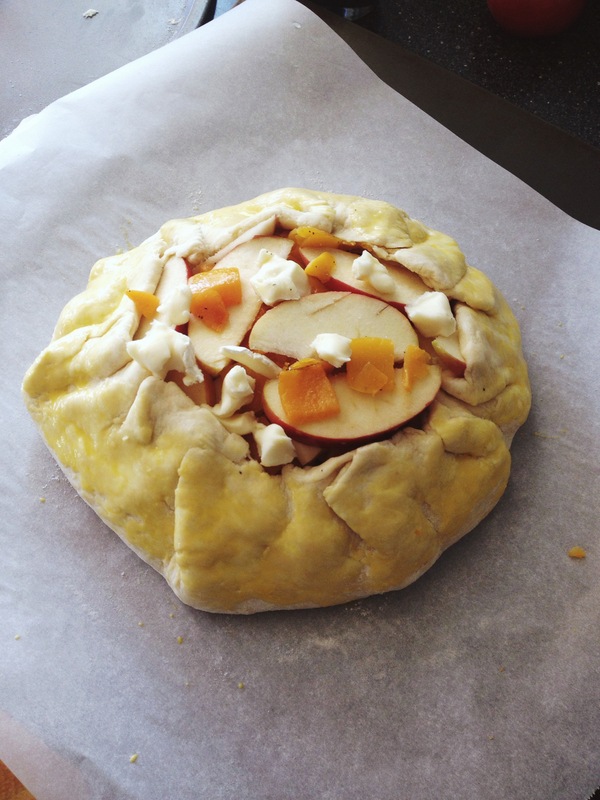 However, one thing that I have wanted to try for months was a recipe that Happyolk posted. The recipe below is entirely from her, I take no credit! She’s an amazing blogger in Colorado who posts beautiful photographs and recipes that make me want to drool. A lot of her posts are accompanied by gorgeous swaths of text. It’s more than a recipe- it’s a little mini story. 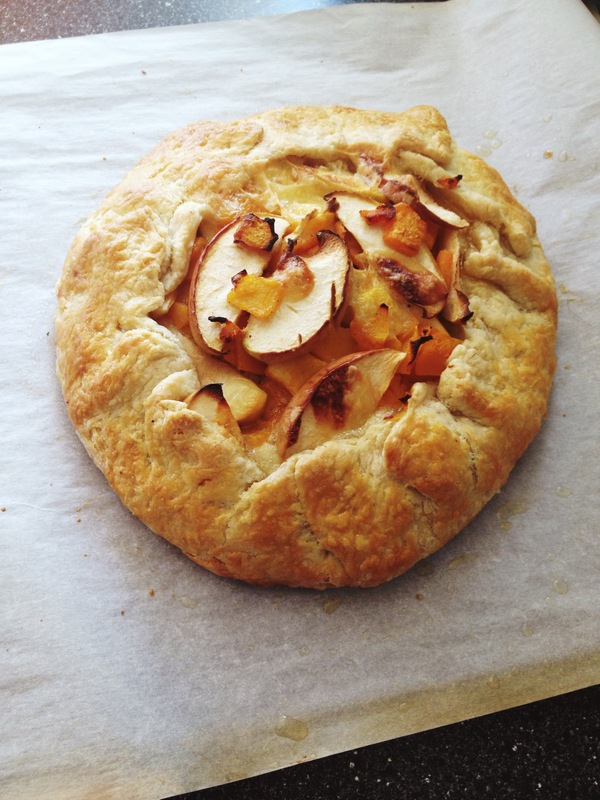 She gets creative in clever ways, and this galette didn’t look too difficult to put together! I’m not defective in the kitchen, but to be honest I don’t try. I’m exhausted after work and the gym, and the last thing I want to do is devote 1 or 2 hours to putting together meals. However, lately I’ve been feeling very antsy and very disconnected to myself. I think cooking, or trying to, will give me a chance to listen to my body more and give it better things than something frozen or quickly, hastily put together. I’m trying all sorts of things to listen to myself more, because it’s hard sometimes to know what’s really wrong. Is anything really wrong? 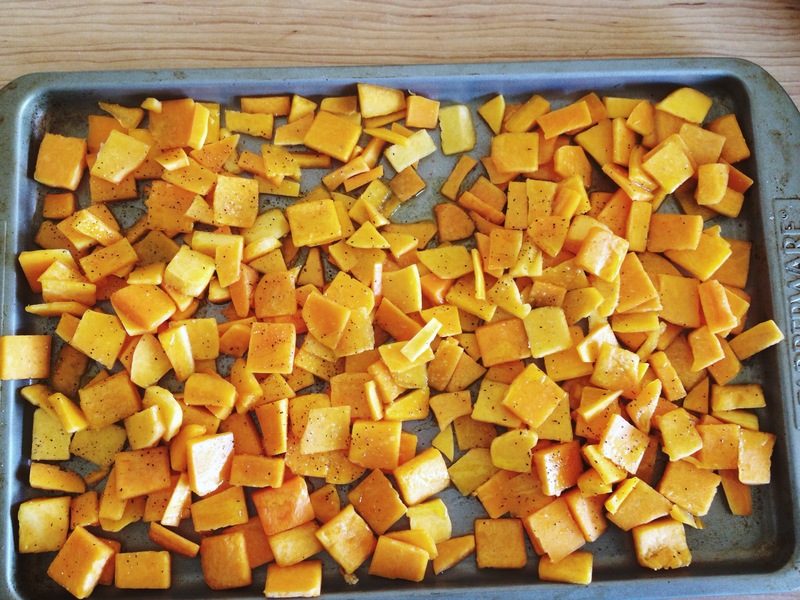 Anyway, I followed her recipe pretty closely, except I already had pre-chopped butternut squash, so I sliced the small chunks pretty thin. I think getting a whole squash, peeling it, and then slicing much bigger slices would work better! Mix flour + sugar + salt, then use the pastry chopper thing (ugh I have no idea what it’s actually called) or your fingers and break the butter apart and blend with flour until the mixture is course. Mix in the rest of the butter the same way. Pour in the ice water and mix dough into a ball. Roll dough flat, put in the fridge for 30+ minutes. 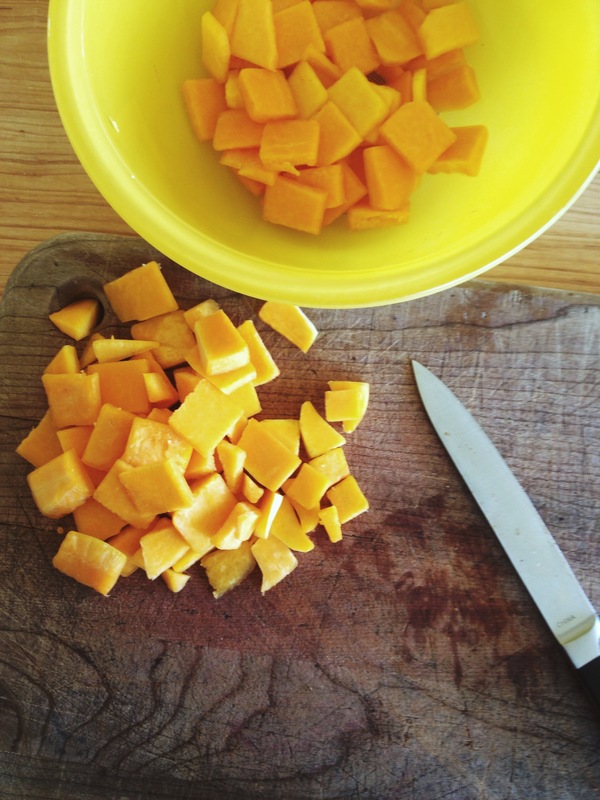 Peel and slice butternut squash. Lay flat on a baking tray; drizzle with olive oil, salt, and pepper. Put in oven at 400 degrees F for 15-20 minutes, then take out and let cool. 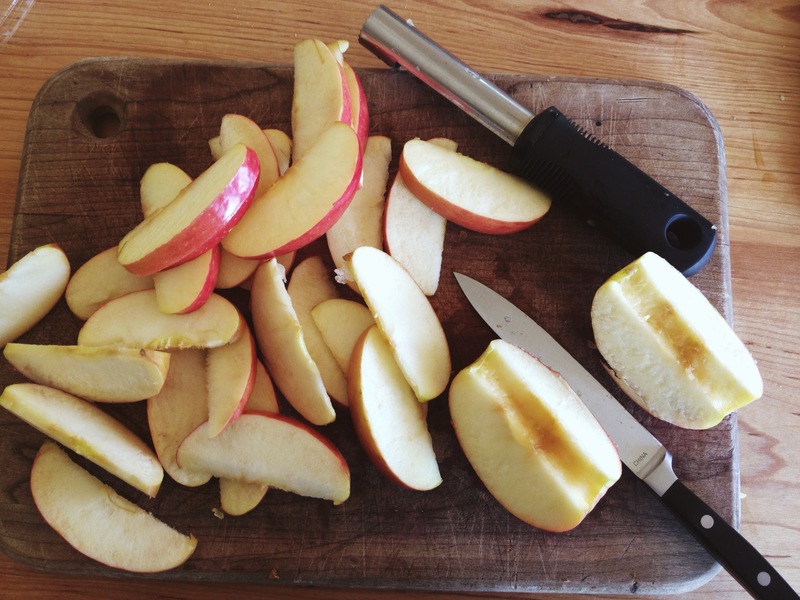 Slice apples into 1/4 inch pieces with the peel on. Pull or slice apart the brie. Take the dough from the fridge, and put on parchment paper on a baking sheet. Have it be about 12″ or so in a disc shape. 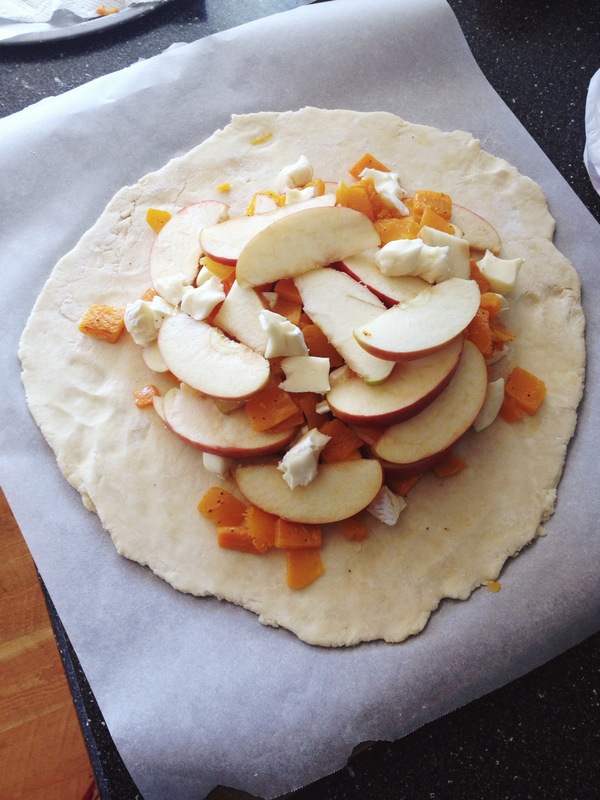 Then begin layering cool squash, apples, and brie cheese as you want! Use all your ingredients, leaving a 1 1/2″ empty edge on the dough disc for pulling it up and securing the delicious filling inside! Gently fold the edges up around the filling. Pinch edges. Put an egg wash on the outside, then put back into the 400 degree F oven for 30-40 minutes! Then consume the delicious concoction you just made and swell with pride that you did it. YAY! I made this for myself, and I have plenty leftover for lunch at the office! No more sandwiches! Again, all recipe content from Happyolk. This entry was tagged Delicious, Dinner, Food, Photography. Bookmark the permalink.